Bodyguard is a British 60 minute scripted thriller television series, which kicked off on August 26, 2018, on BBC One and is broadcast every Sunday at 21:00. The show is currently in its 1st season. BBC One is yet to announce the renewal of Bodyguard for Season 2 as well as its cancelation. Sign up to track down the show's status and its release date. 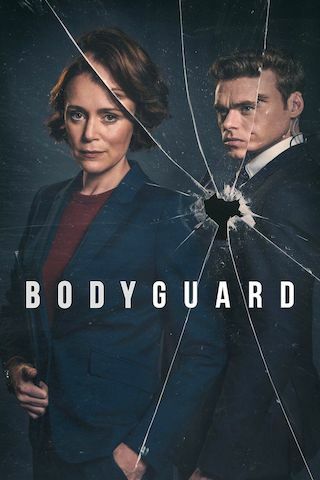 Set in and around the corridors of power, Bodyguard tells the fictional story of David Budd, a heroic but volatile war veteran now working as a Specialist Protection Officer for the Royalty and Specialist Protection Branch (RaSP) of London's Metropolitan Police Service. When he is assigned to protect the ambitious and powerful Home Secretary Julia Montague, whose politics stand for everything he despises, Budd finds himself torn between his duty and his beliefs. Responsible for her safety, is he actually her biggest threat?